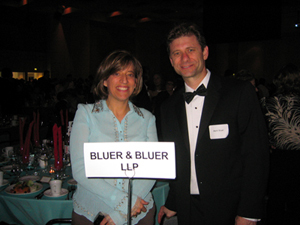 Bluer & Bluer, LLP, a San Francisco-based law firm, was founded by cousins Mark J. Bluer and Susan G. Bluer in 2001 (formerly “Pacific Century Law Group”). In the tradition established by their fathers, Mark and Susan have been aggressively protecting the rights and interests of individuals and small businesses in the California State and Federal Courts. Whether a claim involves a wrongful termination, personal injury, or a commercial dispute, Mark and Susan offer personal and professional legal services to their clients. Both Mark J. Bluer and Susan G. Bluer have over 25 years experience practicing as California licensed lawyers. They understand that efficiency, attention to detail, and an unfailing commitment to the client’s objectives are critical to obtaining the best possible recovery for the client. Please see our “Areas of Practice” for a detailed description of the type of cases we handle.